Denmark's oldest tobacco factory has got a new future with Swedish Match AB. House of Oliver Twist A/S is Denmark’s oldest tobacco factory and at the same time it is the world’s biggest exporter of twisted tobacco bits. We develop, produce and sell exclusive tobacco bits under the name Oliver Twist®. Since 1974, the company has been family owned, but in April 2018 it was sold to Swedish Match AB. Swedish Match is a global company with strong local brand names. They have production in 7 countries and work predominantly with smokeless tobacco products. Oliver Twist tobacco bits are a stimulant for adult consumers to help them meet their need for nicotine without the harmful effects of smoking. To sell, develop and produce smokeless tobacco which can be enjoyed by all adult users of products containing nicotine. To sell our products based on a sense of responsibility for our employees, owners, business partners and the international community. 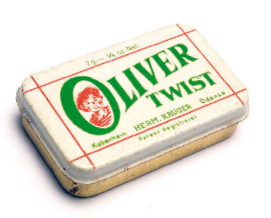 Our vision is to ensure that all smokers know of the existence of OLIVER TWIST®. Oliver Twist must be the strongest brand in its category on the markets in which House of Oliver Twist A/S actively participates. 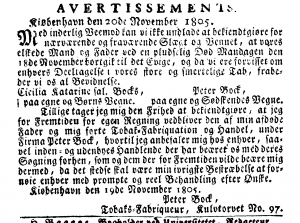 Peter Abraham Bock inserts an ad in the Danish daily Kiøbenhavnske Tidender for his tobacco spinning works when he takes it over, following the death of this father. This is the official year of the founding of A/S Hermann Krüger’s Eftf. – House of Oliver Twist A/S. Bock dies of ague in November. 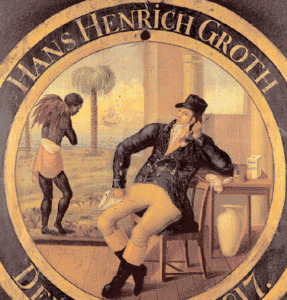 Tobacco spinner Hans Henrich Groth is granted a trade license in July and buys the company the same year. The ownership of the company is transferred to Nicolai Frederik Bonnesen, who has worked for Groth since he was 13. The Tobacco Spinners’ Guild grants him a trade license as a tobacco spinner. Nicolai Jacob Bonnesen carries on the business of running the factory. Johannes Christian Hansen joins the company as co-owner. The company Hermann Krüger (N.F. Bonnesens Eftf.) is transformed into a joint-stock company with Erik Peter Stokkebye as CEO. He is already the CEO of a tobacco factory in Odense. Stokkebye and Krüger move into A. Jensens Damp Tobak- og Cigarfabrik, Overgade 20 in Odense. The production in Copenhagen ceases. The British Gallaher group acquires Stokkebye in order to gain a foothold in the Danish pipe and tobacco market. Peter Stokkebye continues as CEO. 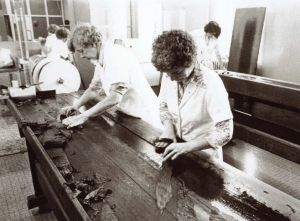 The tobacco spinning mill survives. The Gallaher group ceases its production of pipe and chewing tobacco in Denmark. The department for chewing tobacco is sold to some of the senior managers of Stokkebye. The managers Børge Drest Nielsen and Erling Thobo-Carlsen become the owners of Hermann Krüger’s Eftf. ApS with non-smoke tobacco of the brand Oliver Twist as its speciality. The company’s share of chewing tobacco in Denmark amounts to 13%. The company is transformed into a joint stock company with a share capital of DKK 300,000. The company moves to new and larger premises on Børstenbindervej, also in Odense. The company hires the son Michael Drest Nielsen as its food technician. 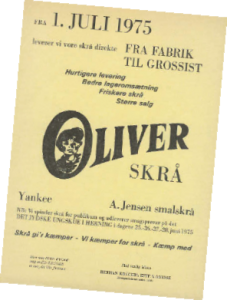 House of Oliver Twist A/S now produces approximately 35% of all chewing tobacco made in Denmark. Børge Drest Nielsen becomes the sole owner. The name House of Oliver Twist A/S is registered as the name used in the day-to-day business. 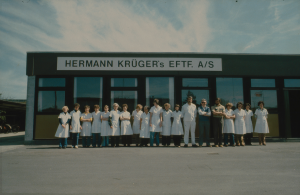 However, Hermann Krüger’s Eftf. A/S still exists as a registered name in the Danish company register. 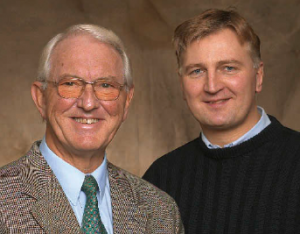 Børge Drest Nielsen becomes chairman of the board, and his son Michael Drest Nielsen assumes the position of CEO. Oliver Twist celebrates its 200th anniversary. A sales force is established in Denmark. Peer Dyhr assumes the position of CEO, and Michael Drest Nielsen continues as a member of the management. A sales force is established in Sweden. Today, House of Oliver Twist is the world leader in the area of spun smoke-less tobacco. Børge Drest Nielsen resigns from the board. Swedish Match AB acquires House of Oliver Twist A/S. The sale to Swedish Match gives us strength and strong faith in the future. It is the obligation to continue activities of the House of Oliver Twist, so that both employees, customers and authorities are satisfied. Thus, we continuously work to maintain and further develop the products of Oliver Twist as a speciality and a niche product within the smokeless tobacco category. We strive to develop our production and our products. This requires a continued good work environment, dedicated employees and a healthy economy. It can be summarised as follows: we must be the best for what we are good at.